Submitted by admin on 05/04/2019 - 14:06. So far some of you found out about some of our best clubs and bars in Split, but if you haven't spent your entire scolarship yet, this article might just be for you. As the season is slowly coming to the city, so are reopening some of our favorites from the list. They are located in Dominisova 16, hence the name, but they also have a small espresso bar "Muslimanka" for coffe to go lovers on Domovinskog rata 39B. Those who live on Spinut know enough about this place. It's probably one of the best decorated caffe bars in Split, added the sweet cakes you can get and the terrace right next to the sea looking on the Kaštela gulf and the west for a spectacular sunset view...sounds beautiful, isn't it? Well, it is! And if you haven't been there yet, you can reach the caffe bar with bus no. 17 (get out of the bus on the last station in front of the Spinut dorm). You'll see gates subtly put among the trees and the passage will lead you to Procaffe. They work every day 7AM-12AM. How to find it? It's right next to the City museum in the Palace. Mark this place for your next weekend evening. 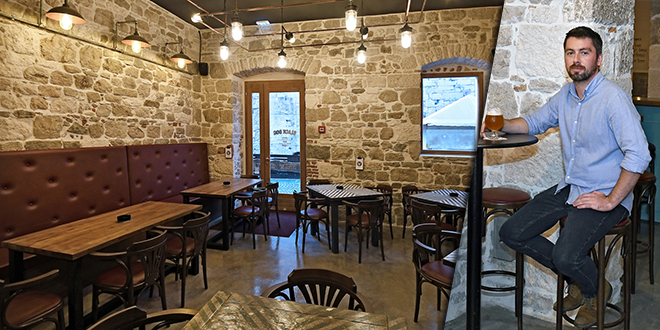 The lovely recently opened pub located above the market in the city center is established by the Irishmen and is a must-see for anyone coming to Split. With a huge variety of beers and a great company, good time is guaranteed! But make sure to arrive at leat until 7PM to get a seat because it's very popular! Prepare your wallet for the best, and probably the cheapest, cocktail bar in Split! Their price range is from 20 to 53 kunas and specialize in all your favorite cocktail drinks, but they also have special Game of Thrones inspired cocktails and shooters you have to try. It's one of my favorite bars where I bring all my international friends to when they come to Split. If you feel like drinking Pina Colada or trying GoT shooters, you can use your ESNcard to join their exclusive programme where every 10th drink is free. Location? Ulica kralja Petra Kresimira lV 3 - go from Peristil down the street in the direction of Public Square (Narodni Trg) and turn right when you see a big passage. Cheers! You see right, that's a rainbow coffee and heavenly good Oreo waffle, and this place specializes in them both! With coffee of your choice, definitely try fresh made lemonade instead water. To this day, I haven't finished their waffle (at least not on my own). Their coffee leaves your tongue in rainbow colours so don't be surprised when you see your friend giggling at you while you speak. :) They are located beneath Grgur Ninski statue. Bon appetit! So far we've covered caffe bars and a few pubs, but what about clubs? Well, everyone so far knows about Central and Quasimodo, and since the season is slowly coming to this tourism metropolis, Quasimodo is soon going to close (don't miss their last Lollipop party! ), but a plethora of other clubs will reopen. While currently Bačvice plays Balkan music, during the season Tropico is THE club for international music with a dash of hip hop songs and hits from 2000s and 2010s and is right next to Bačvice. Their amazing music taste brings many people to the club, so write down the start of their season and follow them on Facebook to see their post about the grand opening. This bar is located on the road to the exit of the city across Kaufland (neighbourhood Kacunar) and is the place for a cup of coffee to just chill with your friends. On weekends they work until 2 AM! They also have a part of the bar behind caffe outside, and during Christmas holidays they do their best to decorate the outside part with many lights. Except that, the interier is breathtaking and is a great place to stop by with your roommate after grocery shopping in Kaufland, or to dress up before a night out for a drink or two. Last, but not least is the place where you will often be able to find me in. 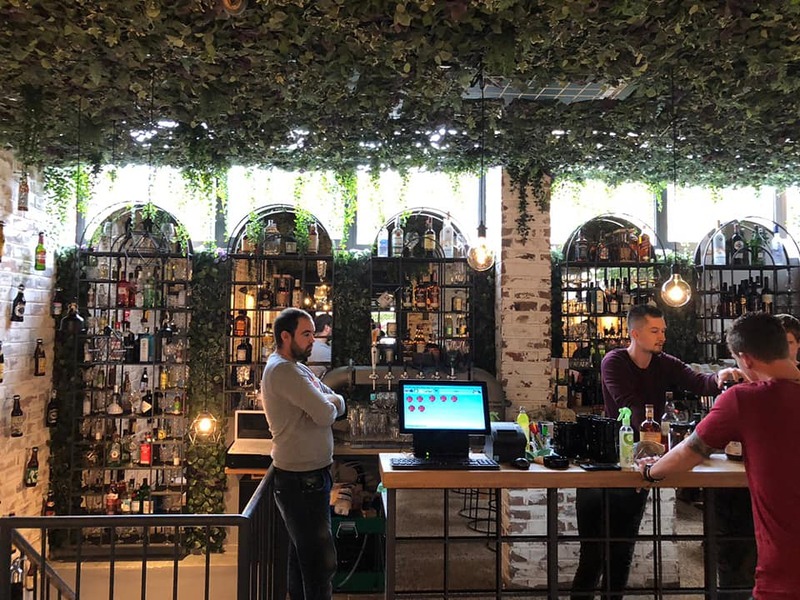 This freshly opened pub is a beautiful example of a lovely modern bar with 70 types of beers and 40 types of gin (they have Aviation gin, in case you like Ryan Reynolds) and it quickly became popular among the locals. It's located across Law Faculty. Definitely check this place out after a long day of classes. But that can't be all, right? Caffe Bar Basket - wonderful place that looks like it just got from "That 70's show". If you're looking for a 'living room' type of bar, this is the one. Get your dose of coffee in the morning, work on your laptop with good old music playing in the background, or maybe come at night for a few beers. Your choice, but the pleasure is guaranteed. Teatar bar - caffe bar located beneath campus (where I'm currently writing this) with cheap prices, classy interier, piano, darts, pool, pub quizes & tango lessons at night...Your choice! Inbox club - located on the market, this club is open for anyone looking for some party before heading to Bačvice. It plays international music and the entrance is free since it's outside, and it opens in May! Hope we meet in some of these places!